As Alta’s former President and CEO, I am humbled every day by the people and communities we serve, and honored to help them achieve their dreams and aspirations on the path to health, prosperity, safety, happiness, environmental justice, and equity. It has been a joy and honor to be a part of Alta’s great mission since 1999. My education and job at the International Institute for Energy Conservation gave me insight that the most successful cities plan well and invest in smart growth, complete streets, transit, open space, parks, and bicycling and walking infrastructure and incentives. This was further informed by living a car-free lifestyle in Washington D.C. in sharp contrast to my childhood in auto-oriented Dallas, Texas. From 1993-1999, I served the City of Portland as Bicycle Program Manager. It was an incredible experience, as shared in my first book, Joyride: Pedaling Toward a Healthier Planet, which tells the behind-the-scenes story of how a group of determined visionaries transformed Portland into a cycling mecca and inspired the nation. The Joyride stories formed the basis of a class developed for Portland State University (PSU), which in turn led to the creation of PSU’s Initiative for Bicycle & Pedestrian Innovation (IBPI) in 2007. With our graduate-level and continuing education courses, as well as cutting edge research, we are enhancing the practical day-to-day skillsets of urban planning and design professionals throughout North America. The lessons learned in Portland were applicable to many situations, as I quickly learned when I joined Alta in 1999. I was just the third employee. Over the years, I have served Alta in many capacities, from managing projects to launching our Safe Routes to School and encouragement programs group to CFO, COO, President, and CEO. Today, we have 30 offices and a team of 170+ engineers, designers, planners, encouragement specialists, and business professionals, working in lockstep to fulfill our mission of creating active communities. Working across the U.S. and visiting many of Europe’s best bicycling cities revealed the deep need for better guidance on the tools needed to design, implement and maintain protected bikeways. In 2008, I gathered a group of like-minded colleagues from across the nation and co-founded the National Association of City Transportation Officials (NACTO) Cities for Cycling Project. In 2012, we published the groundbreaking Urban Bikeway Design Guide, for which Alta serves as an official trainer and leading design expert. In 2009, Alta launched a sister company focused on the exciting new field of public bike sharing. I served as Vice President and helped launch Citi Bike (NYC), Divvy (Chicago), Capital Bike Share (DC Area), Hubway (Boston area), Pronto (Seattle), and Bay Area Bike Share (BABS), and more. By the time Alta Bicycle Share was acquired and rebranded as Motivate in 2014, we had logged 50 million bike trips. Every part of my journey has been filled with challenges and opportunities to create active communities, one step, one pedal stroke at a time. Mia Birk is the former President and CEO of Alta Planning + Design and is currently serving as a Senior Advisor on specific projects and programs. She has spent her entire career creating active communities. Mia is the author of Joyride: Pedaling Toward a Healthier Planet, which tells the dramatic and enlightening behind-the-scenes story of how a group of determined visionaries transformed Portland into a cycling mecca and inspired the nation. 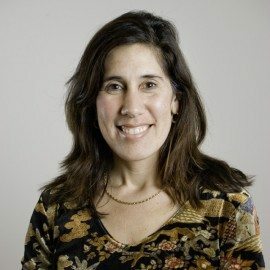 She has been at the forefront of numerous groundbreaking studies and organizations, and was a co-founder of Portland State University’s Initiative for Bicycle and Pedestrian Innovation and the Cities for Cycling Project and Urban Bikeway Design Guide of the National Association of City Transportation Officials (NACTO). She was a co-founder at Alta Bicycle Share, Inc., which launched and operates public bike sharing systems in 10 North American communities and Melbourne, Australia, and was recently sold and rebranded as Motivate. International research on transportation at the International Institute for Energy Conservation (1989-1993). Government leadership as the City of Portland’s Bicycle Program Manager (1993-1999), working with an amazing team of visionaries transforming Portland into a sustainable transportation leader. Consulting with communities nationwide (1999 to present) at Alta Planning + Design. She has worked on hundreds of planning and design projects around the nation; expanded Alta to a 150-person firm with 30 offices; and authored studies on such groundbreaking topics as cycle tracks, bicycle boulevards, shared lane markings and rails-with-trails. Co-founding the Cities for Cycling Project and leading the development of the Urban Bikeway Design Guide for the National Association of City Transportation Officials (NACTO). Helping research, plan, launch and manage public bike share systems in Washington D.C., Boston, Chicago, New York, Chattanooga, San Francisco, Columbus OH, Portland, Seattle, and beyond as Vice President of Alta Bicycle Share (2009 to 2014). Serving on the Transportation Research Board Bicycle Committee, the Board of Cycle Oregon, the advisory board of the Community Cycling Center, and managing the City of Portland’s Safe Routes to School program. Being named the Association of Pedestrian and Bicycle Professionals 2007 Professional of the Year (Private Sector) and featured on the front page of The Oregonian newspaper and the Sundance Channel’s Big Ideas for a Small Planet tv series. Authoring Joyride: Pedaling Toward a Healthier Planet (The Mountaineers, c. 2012) and embarking on an 18-month, 60 city tour.